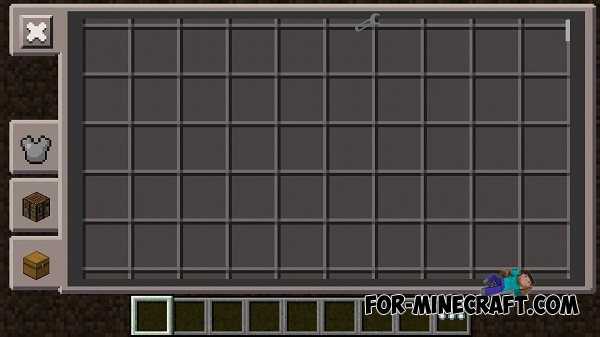 It's simple, but maybe for some players a useful addon that adds 32,000 slots to the inventory of MCPE 0.13.0! Now you do not need to craft constantly the chests, just download this addon and enjoy. It will help you if you go on a long journey away from home.